Fish & fishing lovers, gather! Fishes deliver your fishing results and feelings. You are a fishing expert now! Is it? Colorful fish and ocean colleagues swim on LINE. 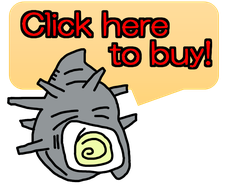 Please join fishing friends as well as accompanying your family and friends! It is! During sea fishing (offshore fishing) is dangerous, so please be careful with the operation of the smartphone! Is it?